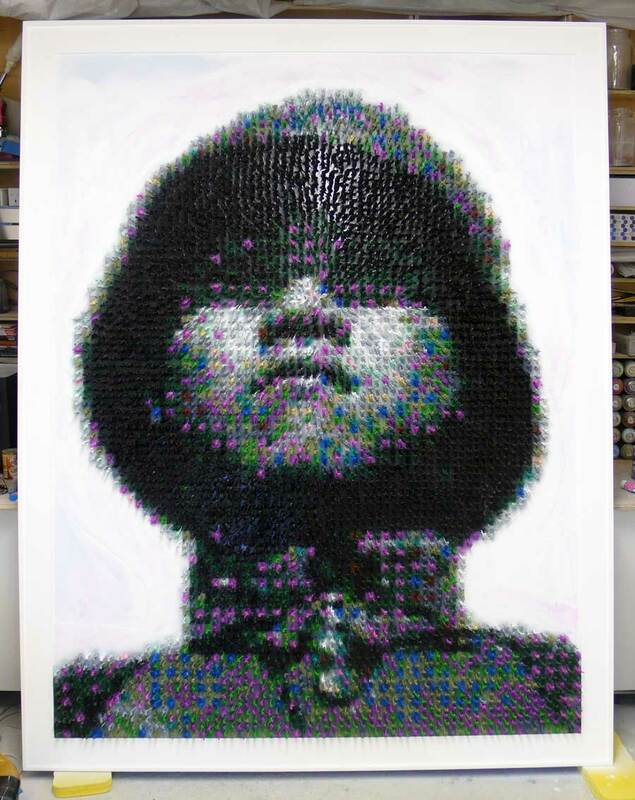 If It's Hip, It's Here (Archives): 'Made In China' Is A Soldier's Portrait Created With Over 5500 Plastic Toy Soldiers. 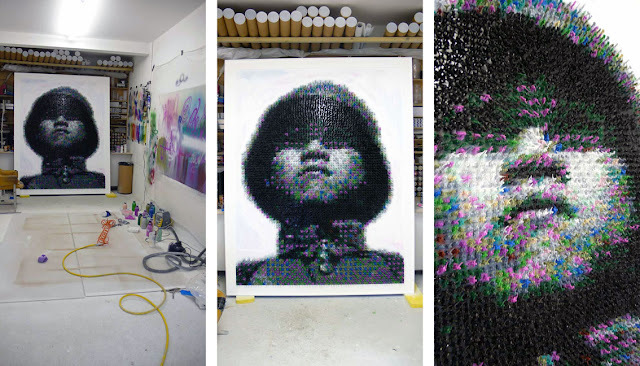 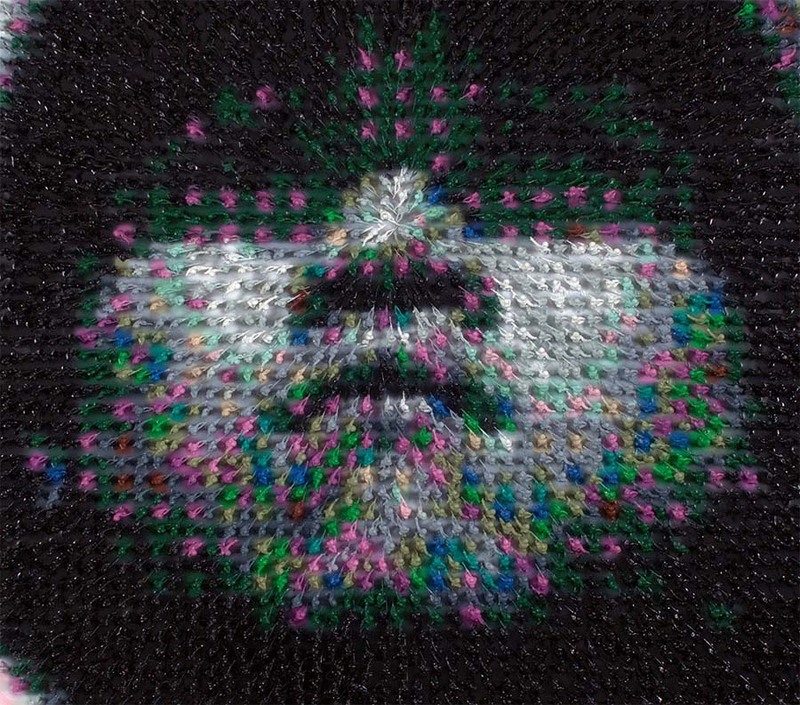 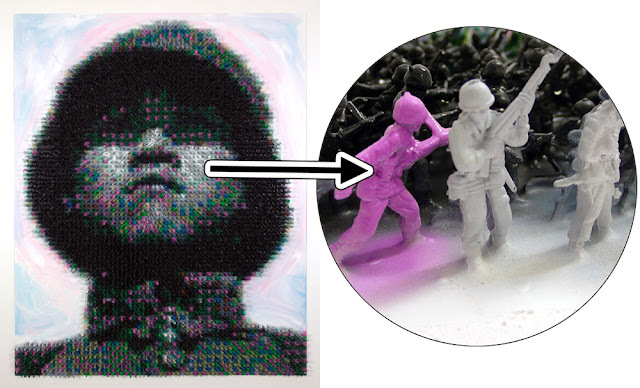 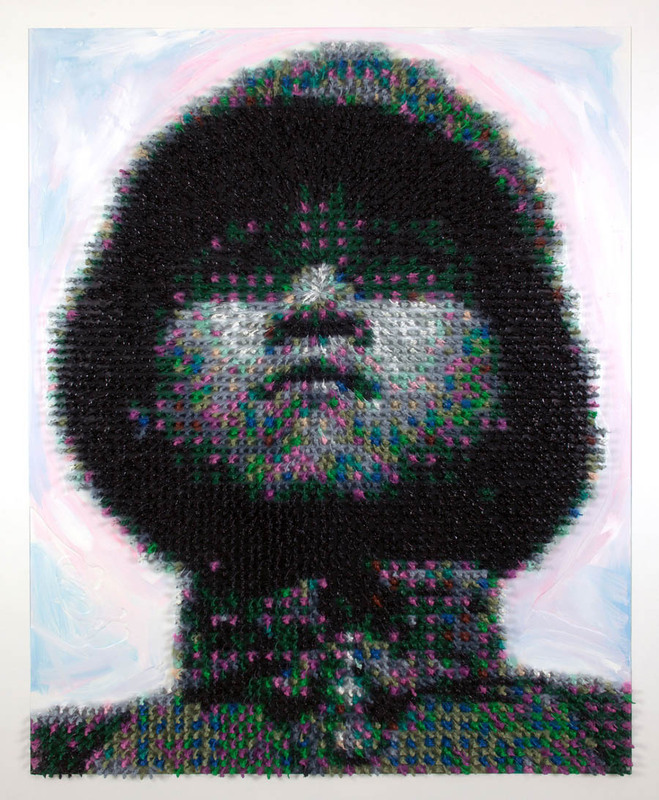 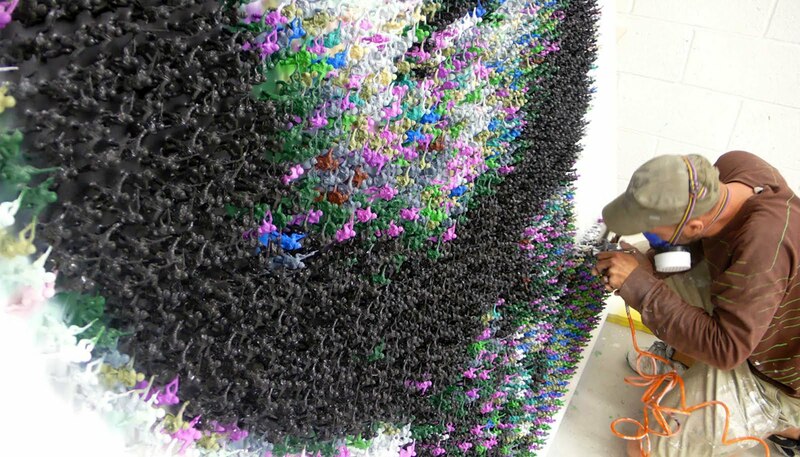 'Made In China' Is A Soldier's Portrait Created With Over 5500 Plastic Toy Soldiers. 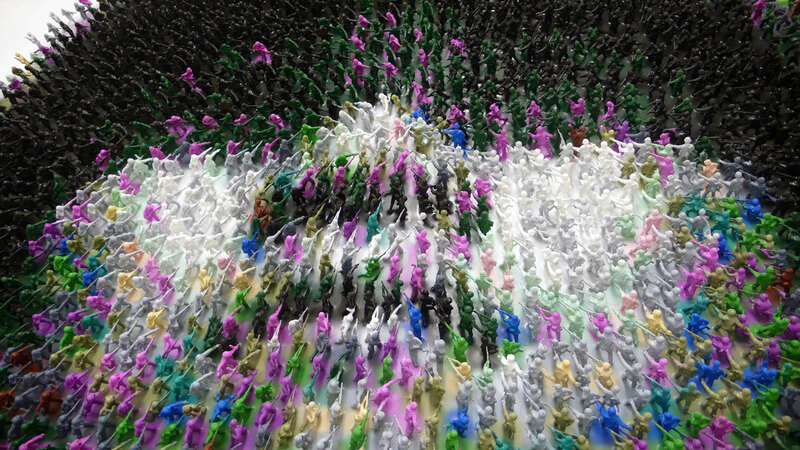 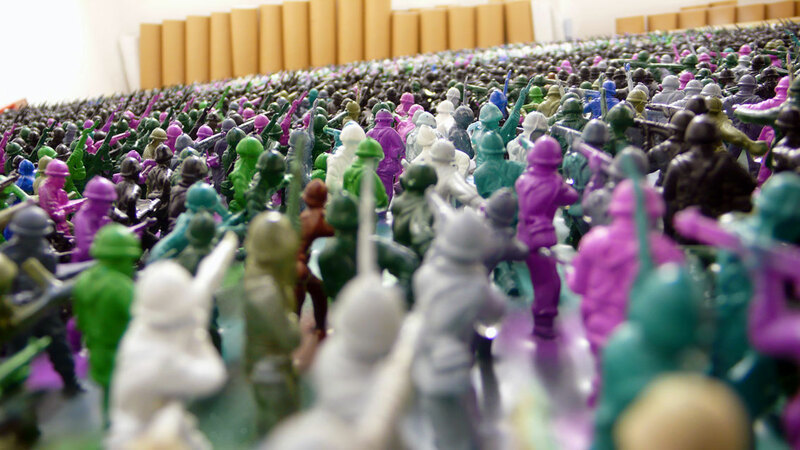 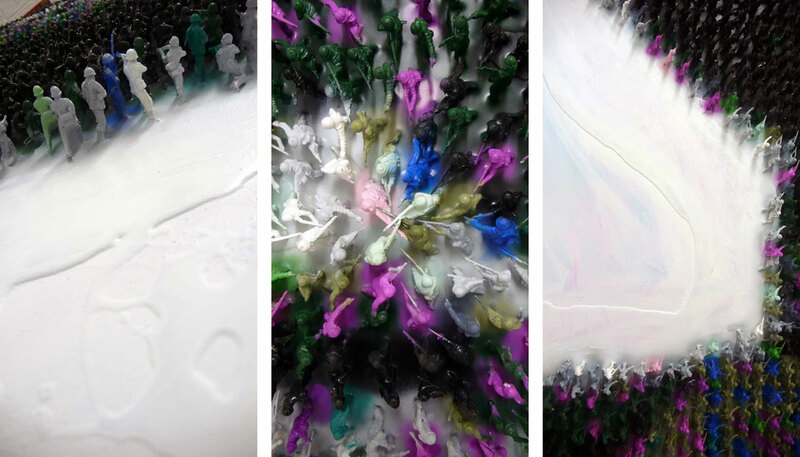 Artist Joe Black's Made In China was created using using more than 5,500 toy soldiers. 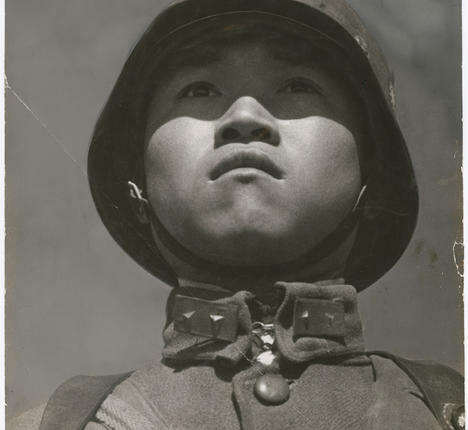 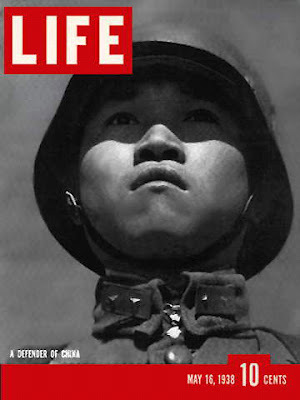 The portrait is of a Chinese soldier boy taken by well-known photojournalist Robert Capa and appeared on the May, 1938 cover of LIFE magazine. 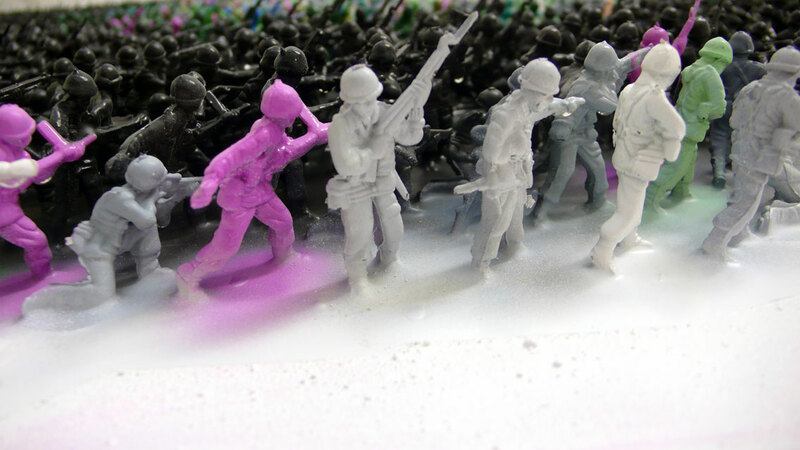 The colored, molded plastic toy soldiers used in the project were manufactured in China, hence the title “Made in China”.